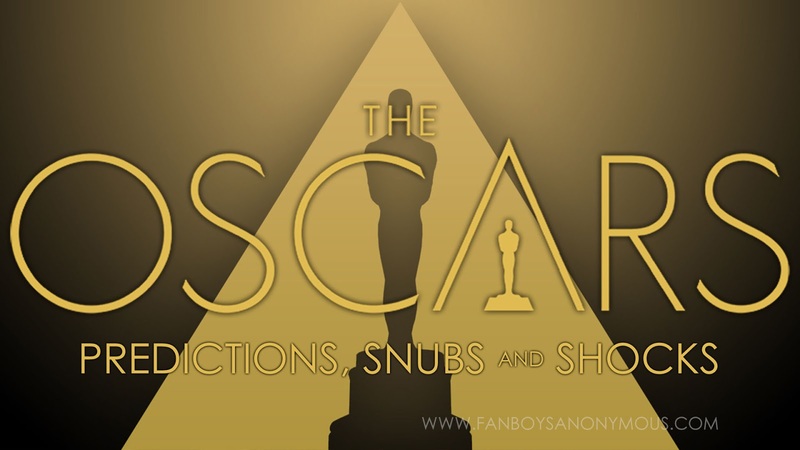 The nominees for the 89th Academy Awards have been announced, so it's time for us to talk about some of the surprises, snubs and our predictions of which movies will take home an Oscar in 2017. THOUGHTS: I'm not surprised about this at all, actually. These were the films that people have talked about for the longest time. As much as I enjoyed the film, I have no idea why people thought Deadpool had a serious chance at being nominated. If The Dark Knight wasn't given a nod a few years back, why would an even more genre-targeted comedy film be able to break the barrier? I've seen them all and enjoyed the majority of them, but my favorites of the bunch at the moment are Arrival and La La Land although I don't think Arrival has much of a chance. Moonlight will take that spot as the runner-up or possible upset win, although I still have to lean toward La La Land narrowly beating the former out. I don't seem to be the only one who thinks this race is down to those two horses, either, as IndieWire and other outlets appear to have the same opinion. THOUGHTS: Was there ever any doubt about this list? The only other names I've heard any buzz about were Andrew Garfield for Silence, Joel Edgerton for Loving, and Jake Gyllenhaal for Nocturnal Animals. Funny enough, none of those films are getting much love as all three of them only have one nomination a piece. With Garfield, my guess is everybody decided they didn't want to nominate him twice, so they picked their favorite performance of the two judged by the movie that has more critical acclaim at this time. He did a great job, but he's going to be overlooked as far as the win goes. This is going to either Denzel Washington or Casey Affleck, hands down. Viggo Mortensen and Ryan Gosling get their nominations as a pat on the back (which they should be extremely proud of. Garfield will just narrowly be taken out of the running because Affleck's performance is what sells Manchester by the Sea and Denzel Washington was the one championing the whole Fences film to begin with. Hacksaw Ridge, while definitely a Garfield-driven film, has the benefit of being based on a true story to hold up its foundation a bit more. I honestly can't even really pick between Washington and Affleck, as I think Affleck might win it just because Washington's won it before, but if I had to choose a personal favorite of the two, I preferred Washington. THOUGHTS: Ooooh this one is tough. Isabelle Huppert won the Golden Globe, but that doesn't always translate. Both she and Ruth Negga were passed over for the Screen Actors Guild Awards in favor of Amy Adams (which is surprising) and Emily Blunt, so you can assume it's down to Natalie Portman, Emma Stone and Meryl Streep. Does the academy go with the newbie and give the award to Emma Stone, or do they have a repeat by going with Portman or Streep? What's odd is how Streep is kind of a 50/50 situation—she's almost certain to get a nomination every year, but because of that and her wins in the past, she's sometimes also an easy pick to just ignore because "oh well, she'll get it next time" in a sense. This is apparently a record-setting 20th nomination for her. Insane, but mostly deserved. Portman's film Jackie isn't nominated for anything else except Costume Design and Original Score, so that means her performance stands out quite a bit. 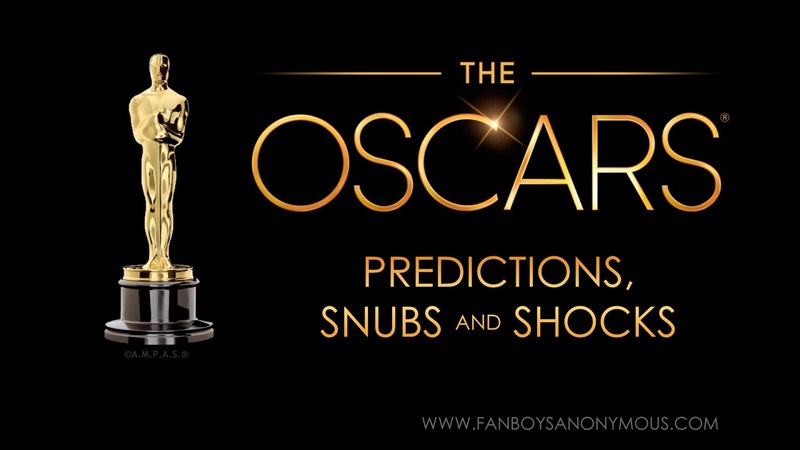 I'm not confident in this prediction at all, because anything can happen, but right now, I'd have to go with Emma Stone. No love for Annette Bening's performance in 20th Century Women I guess, but I haven't seen the film, so I don't know if that is a miscalculation or not. THOUGHTS: It's a little strange that Aaron Taylor-Johnson won the Golden Globe for Nocturnal Animals, but Michael Shannon is the one being nominated here, isn't it? No Hugh Grant for Florence Foster Jenkins, which the Screen Actors Guild went with for a nomination instead of Michael Shannon. Clearly, Shannon is an outlier, which means I doubt he has much of a shot. Lucas Hedges was so good in Manchester by the Sea that I'm very happy to see him get a nomination, but I think that will have to suffice as good enough. Mahershala Ali is my current pick. After watching Moonlight, I wanted to see so much more of his character—which, funny enough, was the same reaction I had to him in Luke Cage. Jeff Bridges was charming but it doesn't stand out to me as a better performance. I've not heard much of any buzz about Dev Patel, nor do I think he deserves it. THOUGHTS: This is probably a very unpopular opinion, but I don't think Michelle Williams deserves to be nominated here. She has what, four scenes basically? Sure, in the context of the film, she fit the bill, and I'm not knocking her acting chops, but I can't help but feel like there might have been a stronger candidate. Kudos to Janelle Monae for Moonlight, and I've heard great things about her in Hidden Figures as well, but no nominations for her. I actually liked her better in Moonlight than Naomie Harris, but of course, Harris had the more eccentric part to play so she gets noticed. I know there was some talk about Greta Gerwing from 20th Century Women, although that's lost on me as I mentioned I haven't seen that movie yet. I'd have to rule out Nicole Kidman and Naomie Harris because I haven't heard many people giving them praise in comparison to Viola Davis and Octavia Spencer. All in all, I think this is going to Viola Davis as the big award Fences takes home. Great performances all around, though, and I think Taraji P. Henson and Janelle Monae could have been nominated for Hidden Figures (and for the record, Monae could have been nominated for Moonlight as well). THOUGHTS: Say what you want about Mel Gibson's past indiscretions, people love a redemption story. Is that good enough to justify giving him the award, though? I don't think so. This one has Damien Chazelle written all over it. He won the Golden Globe, his film has been nominated for more awards than anything else this year (and almost more than anything else in the history of the Academy Awards) and that all has to amount to something. Nearly across the board when it comes to this panel of experts from Goldderby, Chazelle is ranked as the top contender. No Martin Scorsese for Silence, which is a bit of a head-turner. The same goes for Garth Davis for Lion as that's nominated quite a bit here, along with David Mackenzie for Hell or High Water. Based off these nominations, it makes me think these are the five films that have the highest chance of winning Best Picture, so they will probably be the ones that have the most awards to their names by the end of the night. THOUGHTS: Damn this is tough. Original Screenplay can often go to a film that can't quite win Best Picture because all of the elements aren't there, but they still want to give an award to. That being said, it frequently does go to one of the front runners in that division. I wouldn't be shocked at all to see something like Hell or High Water get this out of the blue and have that be its only award, but to play it safe, I'll go with La La Land...although Manchester by the Sea could creep in and take it. Screw it. I'll go with Manchester by the Sea instead. THOUGHTS: Pretty much copy and paste what I said about Original Screenplay and apply it here. Arrival is dead in the water. No. I liked it a lot, but it's not going to win this. The rest are a hard call. I'm going to guess this is a case where nominations are very much "good enough" for a couple of films like Fences and Hidden Figures and Lion, so I think the standout right now is Moonlight. Once again, I'm not surprised Deadpool didn't get a nomination, although for Silence and Nocturnal Animals to not be considered seems a little bit surprising to me. THOUGHTS: I honestly found some of the editing in Hell or High Water and Moonlight to be annoying rather than endearing, so I don't understand why they are nominated. Perhaps that will be my downfall when it comes to predictions, as there might be something I'm not seeing and the voters feel the complete opposite, which means if I disliked it, they probably loved it. The nonlinear structure of Arrival could give it something that lets it stand out, but then again, La La Land toyed around with some different ideas. Oddly enough, action films don't seem to do bad here even if the quality of the script doesn't match up. For that reason and that reason alone, I'm going to say Hacksaw Ridge might take this, but I have to still pick La La Land just because it's been nominated for so many things and it would be a fool's game not to say it would win the majority of them. THOUGHTS: This has to go to The Jungle Book...HAS TO. They created an entire photorealistic world out of nothing. How can you compare to that?! I don't even know what else to say on this subject matter. If it doesn't win, it's a travesty. THOUGHTS: When in doubt, go with La La Land. They had some of the visual effects flair with the dance numbers and that should distinguish it from the competition. Sure, some shots are beautiful in Moonlight and Arrival, but I don't think that will be enough to give them a win over this year's juggernaut. THOUGHTS: I honestly forgot Hail, Caesar! was even a movie this year. Part of me thinks that this is going to win just because of that random choice. I don't think it will go to Arrival and I have to imagine the love affair with Harry Potter has passed a bit, so I'm ruling out Fantastic Beasts and Where to Find Them as well. Passengers probably gets the obligatory sci-fi nomination over Rogue One: A Star Wars Story and the other more "comic book movies" that could have made the list. Judging by the number of nominations it's received, though, I'm going to put my money on La La Land for this one. THOUGHTS: There's a disconnect with me and the academy when it comes to Costume Design. I always tend to go straight to the more elaborate fantasy films because I think it takes more creative effort and work to come up with something out of thin air than it does to just replicate it from a different period in time where we have actual reference material to draw source from. That is why something like Jackie or Allied doesn't stand out to me, but just because I think that way doesn't mean the voters do. In fact, if you look at this list, they're pretty much all following that pattern instead of having Rogue One: A Star Wars Story and Captain America: Civil War and Doctor Strange and Star Trek Beyond in the midst. This is a crapshoot. THOUGHTS: Why the hell is Suicide Squad in this list of nominees? Have you seen Killer Croc? He looks beyond fake to the point where it took me out of every single one of his scenes. And The Joker was so ridiculous looking with those stupid tattoos and the grill! I've never heard of A Man Called Ove before and I'm tempted to go with that because it's such an oddball, but Star Trek Beyond has sheer numbers that might edge it out. This is a disappointing list for sure. THOUGHTS: I haven't seen Lion and Passengers yet, but I really, really hope this goes to La La Land. Name recognition won't get you anywhere this year unless you're Thomas Newman, but I don't think he'll be taking home the statue. I couldn't stand the music in Jackie, which I found actually annoying more than in any way endearing. Until I've seen the other two films, it's hard to make an informed decision, but "Mia & Sebastian's Theme" from La La Land is my favorite piece of score from any film I've seen this year and from that alone, I want this to win. Is this the first year we don't have John Williams in the mix, by the way? THOUGHTS: I want this to be "City of Stars" so bad as I loved that in the film (but not as much as "Mia & Sebastian's Theme"). The weirder choices can sometimes pull out a win, though, as it doesn't necessarily have to be the best film in order to win categories beyond Best Picture. I haven't heard three out of the five nominees yet, so more on this later. THOUGHTS: No superhero films? Not Captain America: Civil War or Batman v Superman: Dawn of Justice or even Doctor Strange? Odd. Even if some of them were pretty bad as far as overall movies go (click here for my ranking), it doesn't mean the sound design was awful. It's always so hard to guess where these will go because if you look at the list for Sound Mixing, three of these are the same and two are different. Why is Deepwater Horizon and Sully on this one, but Rogue One: A Star Wars Story and 13 Hours: Secret Soldiers of Benghazi on the other? The mechanics of the differences are lost on me as I'm not in the field and certainly have no expertise on the subject matter. My guess is this goes to whichever one also wins Sound Mixing. THOUGHTS: Still no superhero films? Normally, this is kind of up in the air. As mentioned above, the difference between this and Sound Editing is so perplexing, which means I'm confused about why there are two films here that aren't on the other list. Whichever one wins Sound Editing will probably win this, but that's not a guarantee. I think it's down to Arrival and Hacksaw Ridge, so I'll hedge my bets. La La Land has tied the record of most nominations per year with 14. You'd have to assume it would win a good portion of those, but not every single one of them. I enjoyed the movie so much more than I thought I would, as I hate musicals, so I'm rooting for it in a lot of the categories, although I do think there are some stronger choices in some of those awards. Once again, I'm not surprised to see a lack of enthusiasm for the films that play up more to the geek culture side of things. 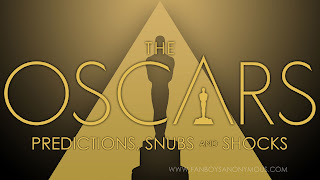 While it seems like there are record numbers of black actors and such, I can't quite tell if there was a concerted effort to diversify things after the #OscarsSoWhite situation from last year or just a coincidence, because it seems like the nominees are pretty well deserved across the board. That is what I like to see—people being recognized for great achievements based on their skills rather than their ethnicity, background, political message or anything else that shouldn't be a factor either positively or negatively. For the first time in many, many years, I've seen many of these movies already and I didn't hate them, and I also am looking forward to checking out the ones I've missed out on. While almost none of them so far have been films I'd add to my collection to watch every year like Rogue One: A Star Wars Story will be, it's good to see that this isn't just pure Oscar bait trash that we get once in a while. The only downside to having so many movies which can compete with one another is that it makes predicting things so much harder, so don't bet your house on my choices here!